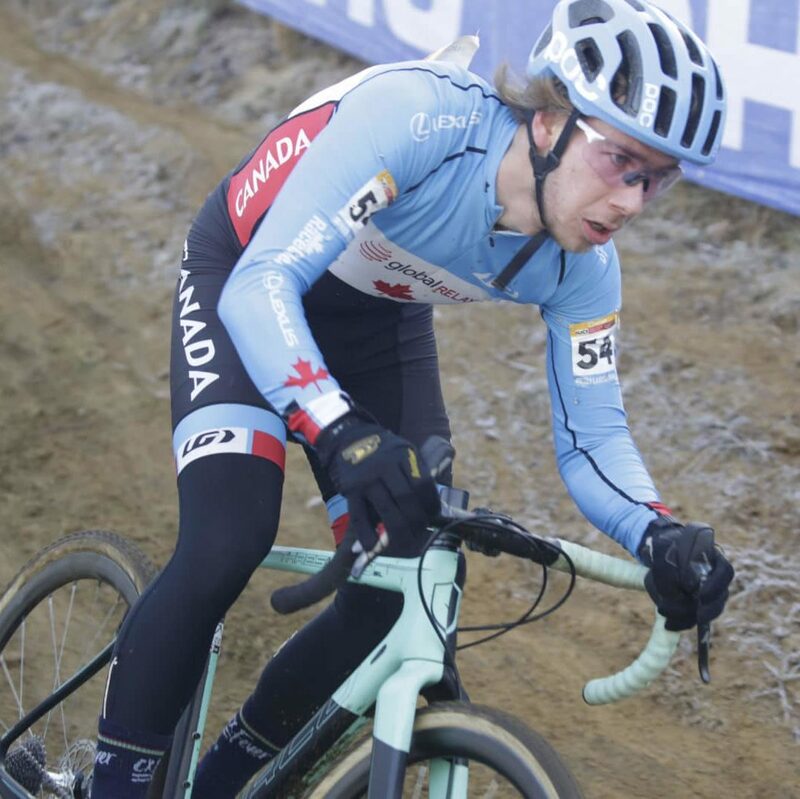 Brevard College student-athlete Tyler Orschel will compete at the UCI (Union Cycliste Internationale) Cyclocross World Championships, February 2-3 in Bogense, Denmark as a member of the Canadian Cyclocross team. Orschel, a native of Uxbridge, Ontario, was one of 13 riders selected by Cycling Canada to compete in the World Championships and will race in the U-23 category. The World Championships will be the culmination of a successful cyclocross season for Orschel, a sophomore at Brevard College. Orschel and his teammates Hannah Arensman and Tyler Clark won the national championship in the collegiate varsity team relay at the USA Cycling Cyclocross National Championships on December 16. Orschel then traveled to Belgium over the Christmas Holiday to compete in several races including the prestigious Zolder World Cup on December 26. After returning to Brevard College for the start of the spring semester, Orschel flew back to Europe for more racing all leading up to this weekend’s World Championships. Orschel and his Brevard College teammates enjoyed great success in Mountain Bike competition this season as well. Orschel won the Southeastern Collegiate Cycling Conference Men’s A individual mountain bike omnium championship. He then finished second in the individual men’s omnium, second in short track, and was part of a second-place finish in team relay along with Arensman and Carson Beckett at the USA Cycling Mountain Bike National Championships. Orschel becomes the fourth Brevard College cyclist to compete in world championship competition in the 2018-19 season. This past September, Beckett (USA), Clark (Canada) and Nathan St. Clair (USA) raced in the UCI Mountain Bike World Championships in Switzerland. With Orschel’s selection to the represent Canada this weekend, it marks the fourth straight year that a Brevard College cyclist has qualified for the UCI Cyclocross World Championships. In 2017 and 2018, Brevard College’s Hannah Arensman was a member of Team USA’s Women’s U23 team. In 2016, Allison Arensman of Brevard College represented the United States at the UCI Cyclocross World Championships.